When owners show their “best friends” their leash, dogs commonly exhibit unrestrained enthusiasm barking and running about. What we are witnessing is associative learning, which is any learned process associated with a specific stimulus, and includes classical and operant conditioning. In 1905, the Columbia University psychologist Edward Thorndike postulated that a behavioral response (R) was most likely to reoccur if the subject was presented with the same stimulus (S). Thorndike’s Law of Effect was dramatically demonstrated by the Russian physiologist Ivan Pavlov and described in his 1897 monograph The Work of the Digestive Glands. Pavlov was interested in studying stomach digestion in dogs and measured secretions from the salivary gland in response to food placed in their mouths. Initially, the dogs salivated when food (S) was in their mouth but, after a number of trials, they began to salivate (R) prior to being given food; Pavlov termed this “psychic secretion,” and it became the focus of his studies. The dogs continued to salivate when a bell was paired with the food, and, with repeated sessions, they came to associate the bell with the food, salivating even in the absence of food. This stimulus-response learning is referred to as classical or Pavlovian conditioning, and its formulation earned Pavlov the 1904 Nobel Prize. In Clockwork Orange (1962), a novella by Anthony Burgess adapted to film in 1971 by Stanley Kubrick, Alex, the antihero, undergoes the Ludovico technique to cure his antisocial behavior. He is given a nausea-eliciting drink, which is paired with violent acts portrayed on the screen; the procedure renders him totally averse to committing acts of violence even without experiencing extreme nausea. Operant (or instrumental) conditioning was championed from the late 1940s to 1970s by Harvard psychologist, B.F. Skinner, who was named the most influential psychologist of the twentieth century in a 2002 survey of psychologists. In this procedure, a test subject (pigeon or rat) is provided a food reward (“reinforcement”) or can avoid a noxious foot shock after completing predetermined learned responses. This type of learning serves as the basis for rewards that teachers bestow upon students after completing their work meritoriously or payouts from slot machines at gambling casinos. 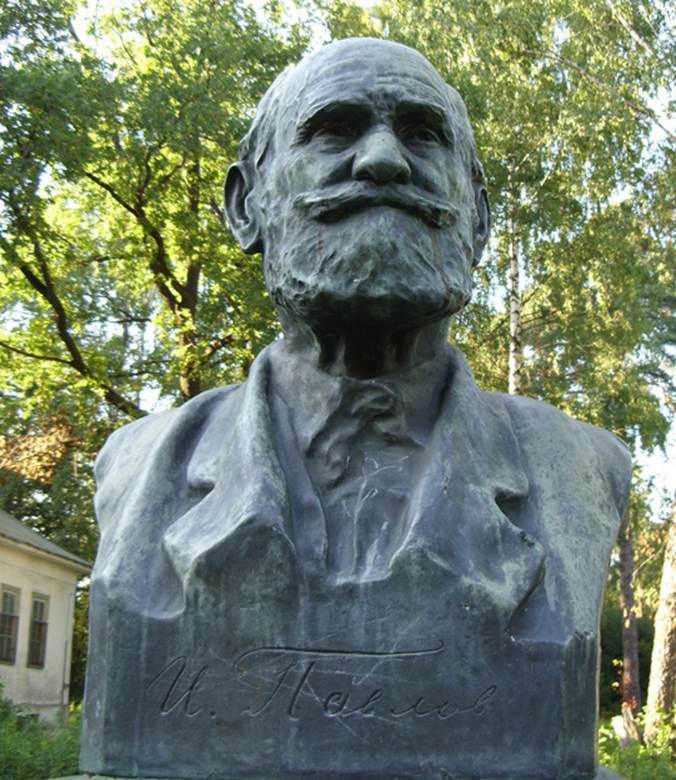 While held in the highest esteem by Vladimir Lenin, Pavlov, whose likeness appears on this bronze bust, was highly vocal in his contempt for Soviet persecution of intellectuals during the 1920s and 1930s.